Shooting of 60+ locations (museums, monuments, galeries, restaurants, hotels, ...) in a high-end vision of Manila for the City Guides series edited by Phaidon. Articles in Webdesigner Magazine, in UK, january 2011, and France, july-august 2011. Winner in 2011 of the international logo creation contest for ANN - Asia News Network, a network of 21 media groups (newspapers, televisions...) against 30 finalists the +1000 participants. 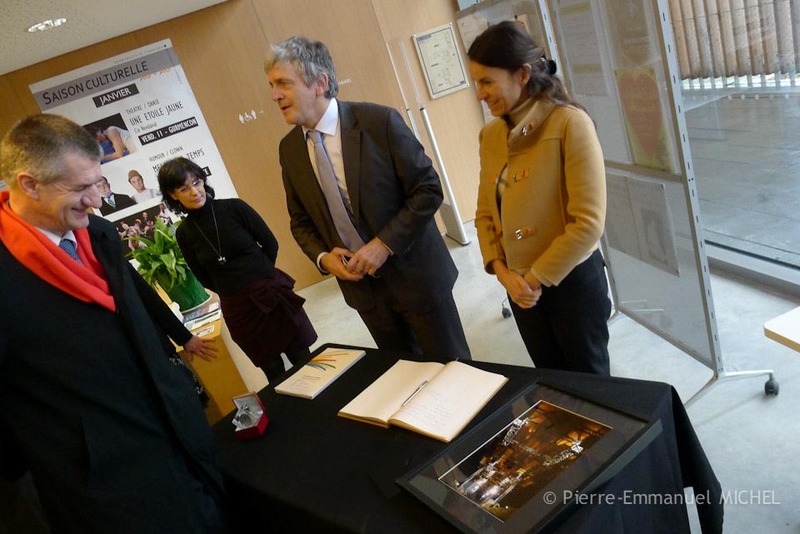 Gift to the Minister of Culture Aurélie Filippetii by the mayor of the city, of an art print of Oloron-Sainte-Marie by Night, January 11, 2013 at the inauguration of the new library.